Greenlining Academy AlumniMeet the Academy Alums and hear their stories about how the Greenlining Institute helped them become community builders. 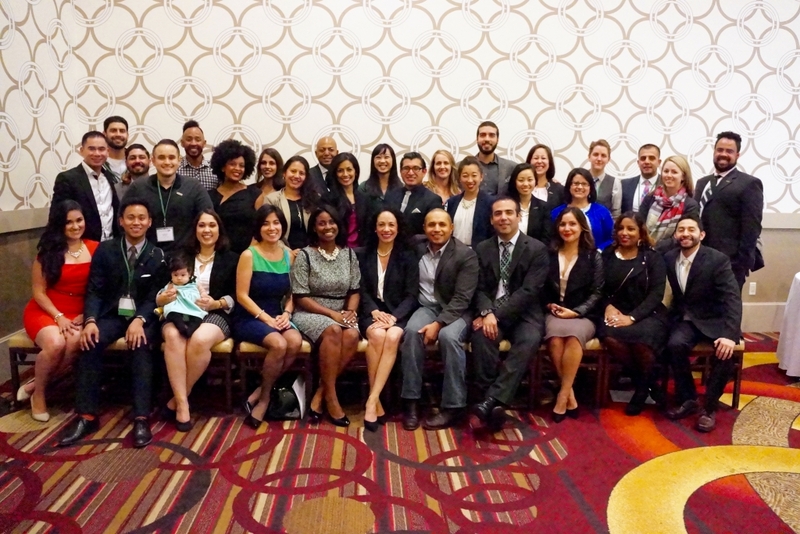 The Greenlining Institute is dedicated to empowering communities of color and other disadvantaged groups through multi-ethnic leadership development. Continuing a relationship between alumni and The Greenlining Institute is imperative to the long-term vitality of The Greenlining Institute and its vision. 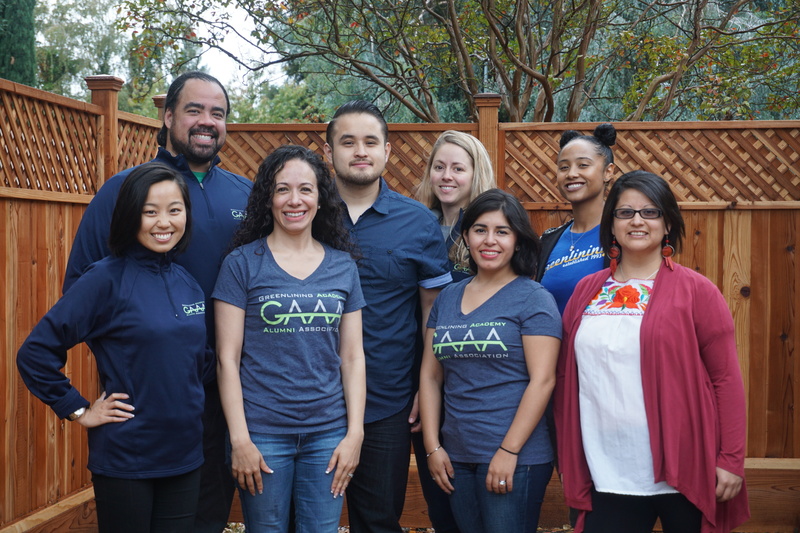 The Greenlining Academy Alumni Association (GAAA) strives to enhance the Academy alumni network and support the development and success of Academy programs, including but not limited to the Fellowship, Summer Associate and Internship programs. The Alumni Board was formed in May 2001, and since then the board has launched the following initiatives to support the work of Greenlining and the leadership development of GAAA members: Mentorship, Academy Recruitment, Fundraising, Alumni Networking, Professional Development Scholarship, and our Annual Alumni Meeting and Mixer. Alumni are one of the strongest recruitment sources for the Academy programs. All Alumni are encouraged to promote the various leadership development programs: the Fellowship Program, the Summer Associate Program, the Internship Program, the Legal Academy, and Casa. All of the programs are geared towards young leaders of color and promote multi-ethnic collaboration. Alumni can advance the programs within their respective college(s) as well as their professional and personal networks. If you have a candidate referral, please contact Academy Director Patrick Brown at patrickb@greenlining.org. When alumni give financially to the Greenlining Academy Alumni Association, they demonstrate that those who know Greenlining best value its continued work. Such support is critical to Greenlining’s ability to fundraise from foundations and corporations. As part of its role in strengthening the Greenlining Academy, the GAAA regularly asks alumni to support the GAAA, the Academy and its programs. One of our goals is to increase the number of alums that actively participate in the growth of the Academy, regardless of the amount donated. If you are interested in finding out more about the GAAA’s fundraising activities, please contact the GAAA Fund Development Chair at gaaa.funddev@gmail.com. To donate, please click here, and remember that any amount you give makes a difference and is greatly appreciated! Historically, the GAAA has kept alumni connected via the Google Groups email listserve: greenlining-academy-alumni-association@googlegroups.com. In April 2009, the GAAA launched an official LinkedIn group, Greenlining Institute Academy Alumni Association, and we encourage all alumni to join this group. This forum allows alumni to search for other alumni, review and participate in different discussion topics, and learn about events happening in their area. The GAAA has also launched a Facebook group page, Greenlining Academy Alumni Association. In addition to the connections through social media and Google, the GAAA recently launched the Regional Mayor program. The Regional Mayor program serves as the main point of contact for alumni in four key geographical regions (San Francisco Bay Area, Los Angeles, New York, and Washington DC) for the purpose of networking and alumni engagement. If you have any questions about the LinkedIn group, the Google Listserve, or want to learn more about the Regional Mayor program, please contact Sunaena Chhatry, GAAA External Secretary by email at gaaa.externalsec@gmail.com. To help facilitate alumni networking, the GAAA established a fund for alumni who wish to organize social or networking events. Funding varies year to year. If you have any questions about how to contact alumni, hot to join or start a Regional Mayor program or want to learn more about how to host an alumni mixer or other function, please contact the GAAA External Secretary at gaaa.externalsec@gmail.com. The Professional Development Scholarship Fund was launched in February 2008. The Professional Development Scholarships provide small grants that enable alumni to attend trainings, conferences, other events, and other professional needs that further their professional development. Examples of eligible trainings focus on management, technical and/or leadership skills that contribute meaningfully to the applicant’s professional growth. We encourage creativity in what these scholarships are applied to, including membership fees, journal subscriptions, business cards and other needs. Scholarship amounts vary year to year and can be applied towards needs and/or travel costs associated with professional development. For more information, contact the Professional Development Chair at gaaa.profdev@gmail.com and to complete an application, click here. The GAAA General Reimbursement Process is meant to reimburse Alumni for expenses NOT related to scholarships. Most reimbursements made throughout the year relate to the GAAA’s Professional Development Scholarships. Those scholarships have separate forms for approval and reimbursement (for details about Professional Development Scholarships please email gaaa.profdev@gmail.com. The General Reimbursement form enables Alumni to get reimbursed for items such as food and drinks, supplies or travel related to Mayoral program events, Academy Informational sessions, and other one-time events or needs. This form should also be used for GAAA Board members seeking reimbursement for travel, food, and other items related to accomplishing Board business. Download reimbursement instructions and form, here.